UP THE OSCARS® BENEFIT BASH! Brace yourself for another meeting of malcontents gathered to vent right back at the Holly-white Boys Club bent on publicly patting itself for another year of mediocrity. A refuge for exhibitionists, fashionistas and Hollywood haters of all stripes, our unforgiving UP THE OSCARS® opens it’s doors at 3:45, just in time for the Red Carpet Parade of Shame. 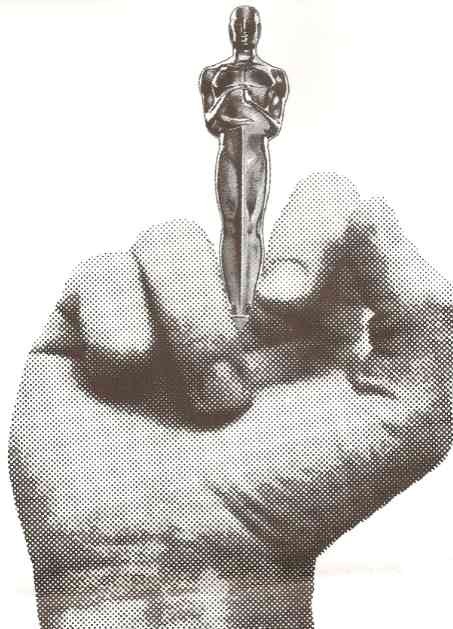 Oscar® ballots will be dispensed and gathered and the most accurate diviner of the evening’s poor choices will win a prize of his or her own. Thanks to our very own curator of film & video insanity, Stev Sechovec, the entire evening is commercial free, replaced with recently unearthed shorts, twisted music videos, film clips & banned commercials featuring thoroughly humiliated celebrities, all of which unspools intermittently to relive you from the tedium dripping up from the South. There is no contest per se, but you are encouraged to dress up in your favorite Reese Witherspoon lederhosen, slip into those Mark Ruffalo leotards or wear your favorite Eddie Redmayne expression. In the midst of all the shenanigans, some snacks will be provided. But it’s a long evening so pack plenty of provisions, along your big, bad sassy attitude. $12 in advance and $15 at the door.